Located in the center Ham Tien – Mui Ne Beach resort, Vietnam Home Restaurant is a culinary destination and reputation are familiar and foreign tourists frequently visit to enjoy. The restaurant is designed in an open space with simple materials, close to nature as thatch, bamboo, mangrove wood, coconut leaves. In addition to the material close to nature, green trees are also arranged logically by region for each different type of green trees. Overall the restaurant is divided into 2 areas. Floor area can accommodate 120-150 guests. 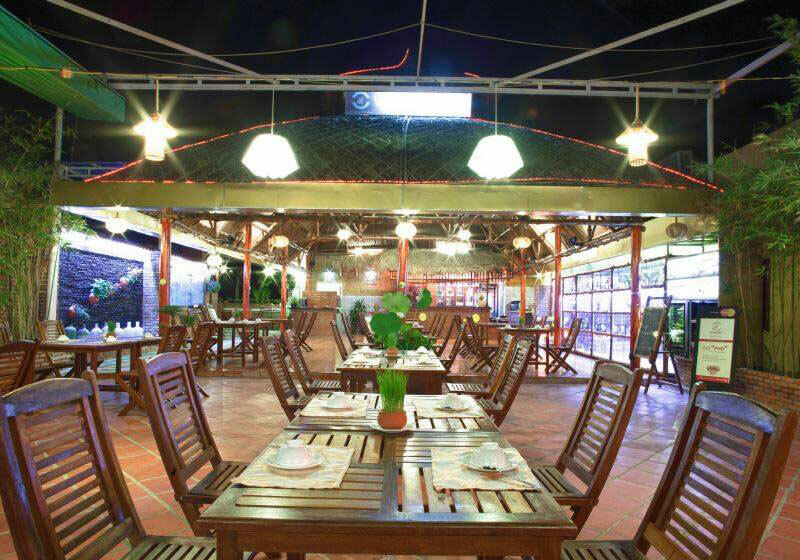 Short Description: Located in the center Ham Tien - Mui Ne Beach resort, Vietnam Home Restaurant is a culinary destination and reputation are familiar and foreign tourists frequently visit to enjoy.